Lotabeg House is located on and accessed from the Lower Glanmire Road on the outskirts of Cork City. 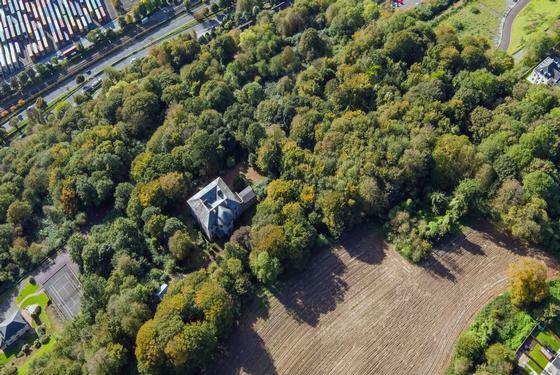 It is approached by a sweeping drive that winds through the deciduous woodland that surrounds the property. 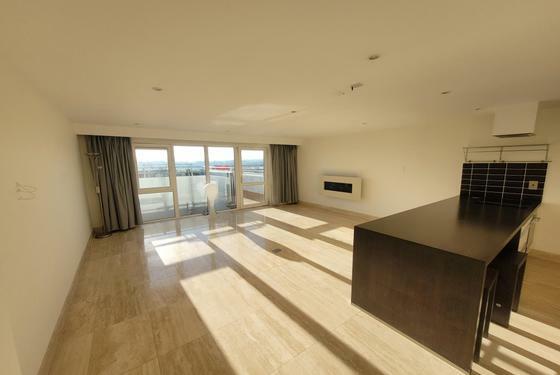 Its elevated site offers views over the city and the river Lee. Lotabeg House comprises a detached, two storey over basement period residence built between 1780 and 1820. 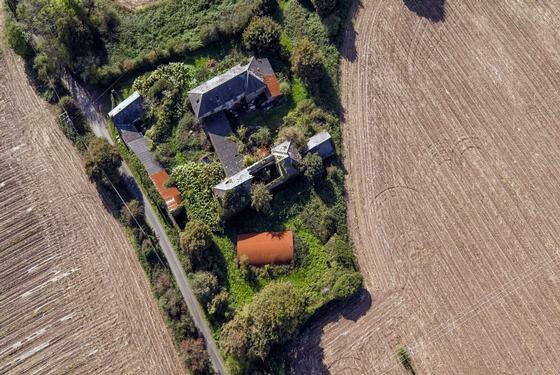 The house is of significance as one of a group of houses in Tivoli associated with the Lota demesnes and whilst the house, gate lodge and entrance are all listed as being structures of 'Regional Importance', they are not listed as protected structures in the 2015 Cork City Development Plan. The entrance to the property is a familiar sight to thousands of people but very few have ever passed beneath the iconic stone arch, decorated with a magnificent Irish Wolfhound. The elegant house, designed by Abraham Hargrave, is hidden from view but one of its most notable features is the large bow on the north facing entrance porch, behind which lies the house's finest internal space, an immense circular domed entrance hallway, around which snakes a cantilevered timber staircase up to the first floor gallery. Lotabeg House is situated less than three miles from the centre of Cork City. Cork City is the second most populous city in the State, with a population of over 125,600. It is a hub of industry with several pharmaceutical companies based there. The European headquarters of Apple Inc. are situated within Cork and it is home to the Heineken Brewery. It has a well regarded university and supports three hospitals. Technology has now replaced the older manufacturing businesses such as the Ford Motor Company and a large amount of people now work in IT companies based throughout the city area. The deep harbour allows large vessels to enter bringing trade and easy export/import of products. The good rail and road networks provide for the domestic market and Cork Airport, the second largest in the country, provides ease of access to the rest of Europe. 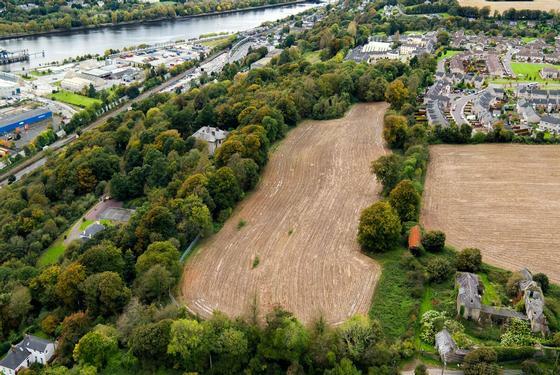 Based on the recently adopted 2015 Cork City Development Plan the c.3 hectares of land, (Lot 2) within the city boundary are zoned for Residential Development. The c.4.67 hectares of land, (Lot 3) are within the City Development Boundary. Mains water - Electricity - Telephone - O.F.C.H. Head northwest on St. Patrick's Street/N22 toward Winthrop street (160m) Continue onto Bridge Street/N8 and continue to follow this road for 3.9 km. Turn left and proceed just 8m onto partially restricted road and property is on the right after 550m. Proceed south from Dublin via N7, M7 & M8. As you approach Cork take third exit at roundabout onto N8 (Cork, N20, Limerick). At roundabout take first exit and stay on N8. After 2km make u-turn and continue to follow N8 and after 600m turn left and proceed just 8m onto partially restricted road and property is on right after 550m.